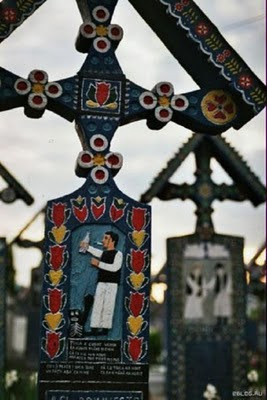 The Merry Cemetery (Romanian: Cimitirul Vesel) is a cemetery in the village of Săpânţa, Maramureş county, Romania. 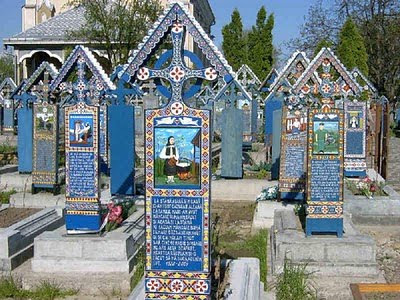 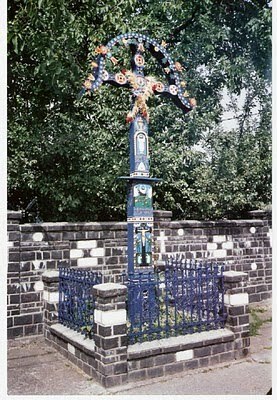 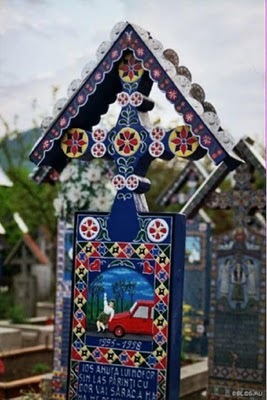 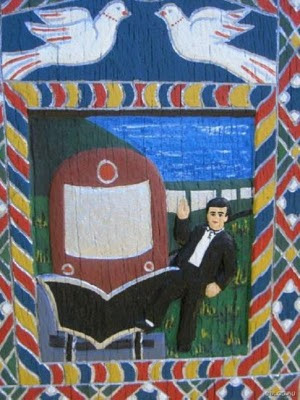 It is famous for its colourful tombstones with naïve paintings describing, in an original and poetic manner, the persons that are buried there as well as scenes from their lives. 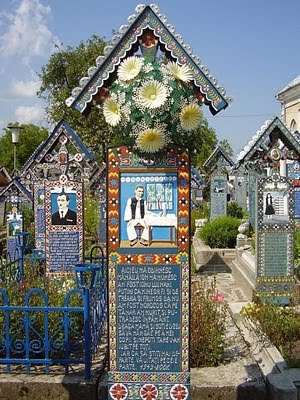 The Merry Cemetery became an open-air museum and a national tourist attraction. 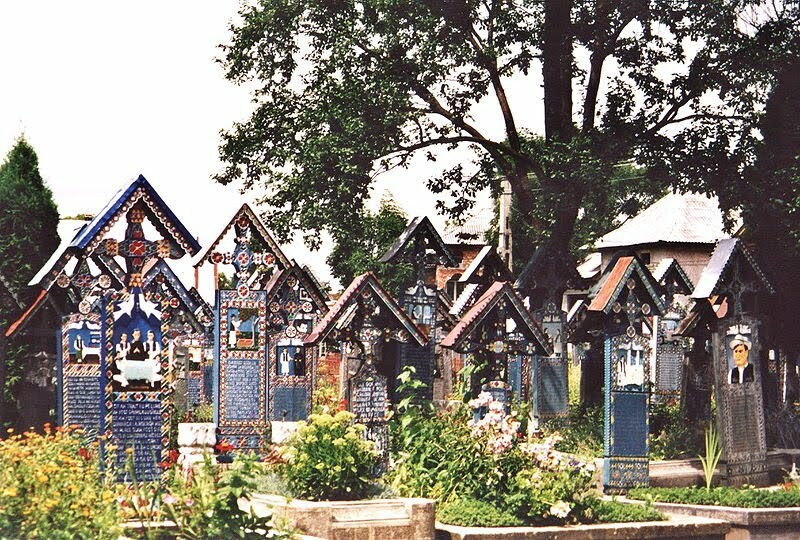 The Merry Cemetery is a UNESCO World Heritage Site. 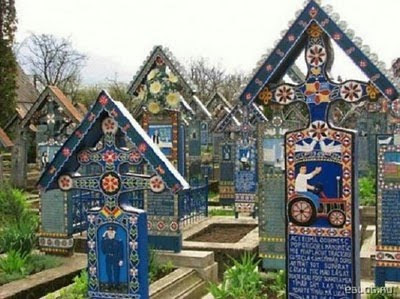 The unusual feature of this cemetery is that it diverges from the prevalent belief, culturally shared within European societies – a belief that views death as something indelibly solemn. 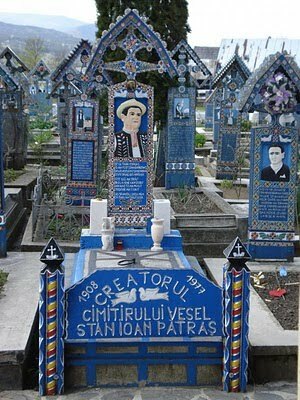 The cemetery's origins are linked with the name of Stan Ioan Pătraş, a local artist who sculpted the first tombstone crosses. 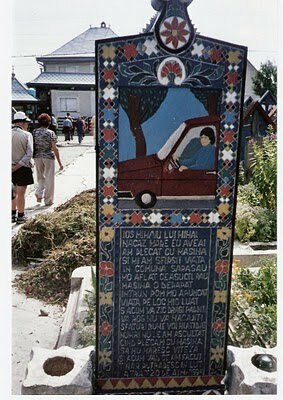 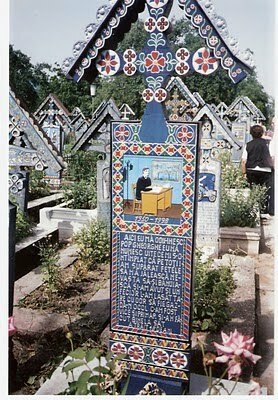 In 1935, Pătraş carved the first epitaph and, as of 1960s, more than 800 of such oak wood crosses came into sight.